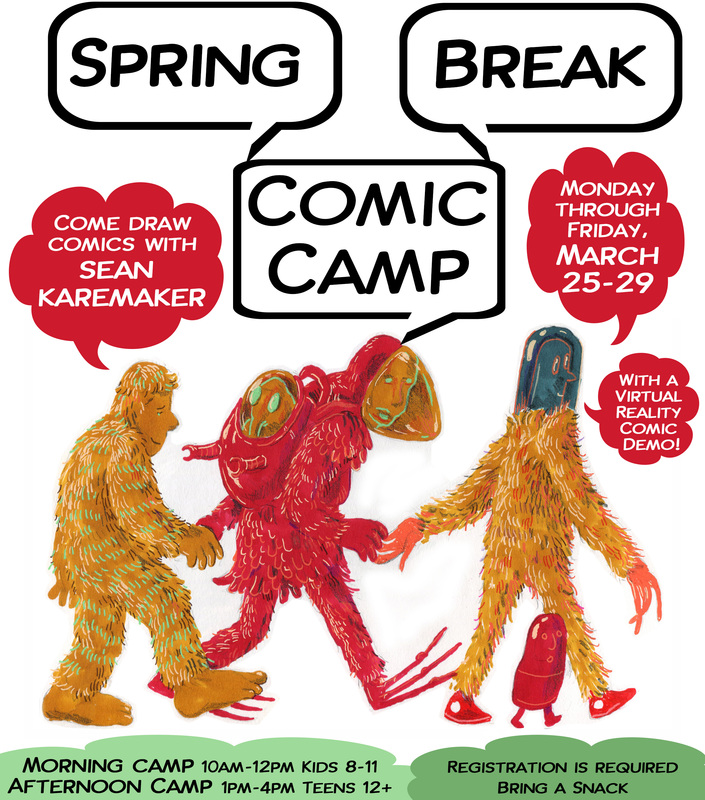 The library’s popular Spring Break Comic Camp is back, this year with graphic novelist Sean Karemaker, Monday through Friday March 25-29 in the First Credit Union Community Room. A Kids Camp (ages 8-11) will run from 10am-noon. A Tween and Teen Camp (ages 12+) will run from 1pm-4pm. Registration is required and space is limited. Sean Karemaker is an artist living in Vancouver, BC. He obtained a diploma in graphic design from Malaspina University College in 2002 and has worked in illustration, graphic design, and 3D design for video games, in addition to his career as an artist and author working in comics, drawing, painting, and murals. His graphic novel Feast of Fields was recently included in CBC Books’s top 16 Canadian comics of 2018. Participants will have the opportunity to explore a virtual reality version of Sean’s graphic novel. This event is presented in partnership with the Powell River Literacy Office.